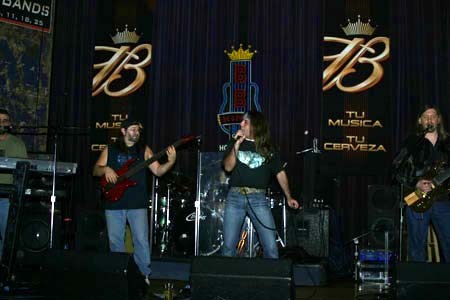 7 MONTHS are a progressive metal act formed in 1995 in the United States of America, Simi Valley, California. It was not until 2002 that the band released their self-titled debut full-length studio album though. 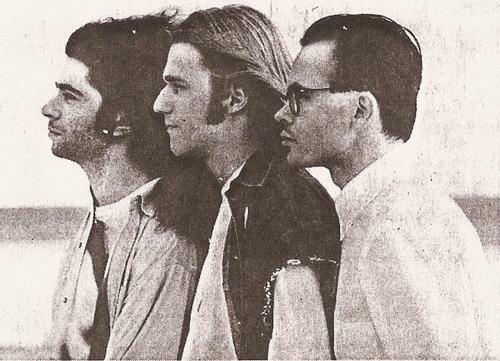 The band at that time consisted of Joe Booe on lead vocals, Chris M Jacobson on guitars and vocals, Garegin "Greg" Kalajian on keyboards and vocals, Shawn "The Dude" Richkind on bass and Barry Magnuson on drums and percussion. Lead vocalist Joe Booe was replaced by Danny Veras before the recording of the second full-length studio album "In Time" which was released in 2009. The inclusion of 7 MONTHS to the Prog Archives database was approved by the Progressive Metal Team. Sell your 7 MONTHS items on eBay ! Fans of Enchant will be in for a treat here, as I find that 7 Months sound very similar to the progressive rock legends, so much so, that vocalist Joe Booe could probably pass as Ted Leonard. And that's certainly not a bad thing. 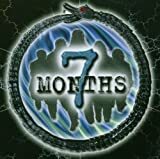 7 Months' self-titled debut album is a pretty decent effort by a band that hasn't been very active since forever. In fact, for a prog band that nobody has really heard of, this is a great little gem if you stumble across it! While there's nothing here that hasn't been done better by other bands, the songs are all very well written and easy to listen to. Joe Booe has an incredible voice (if you like Ted Leonard, that is), and the music perfectly compliments it. The music at times sounds very AOR-ish and very melodic, making even the rocking moments sound blissful, and as a whole, while this album isn't anything incredible or amazing, I can't find any reason to knock it. If you needed a reason to check out this band, then the closing track 'Senorita Serenade' is definitely it. This song makes the entire record worthwhile, with melodic and epic elements, great guitar work and some fantastic keyboard melodies, this is a fantastic song that really brings it all together. And of course, the vocals on this track are some of the best I've ever heard. A good album if you come across it. Especially for fans of Enchant. 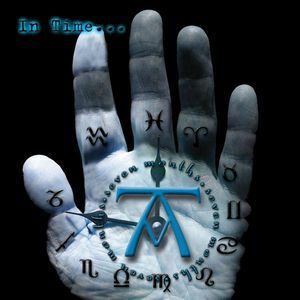 In Time (2009), as their debut self-title album, was another good surprise for my ears! 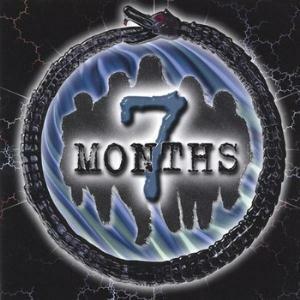 7 Months is basically an unknown band from United States, and In Time (2009) is their second album. As in their debut, the band still have their sound very much alike the Swedish band A.C.T (which I really like). In the 8 years that separate their first and second album they changed their singer (now with Danny Veras), I liked Joe Booe vocals, but their new frontman did a very good job. The press release states, "7 Months is an LA based band combining progressive time signatures, complex progressions with sellable commercial melodies designed to stand the test of time. The band members are all extremely talented with a knack for writing excellent songs but keeping the integrity and intricacies of well designed music." That these guys can play is never in doubt, and in fact it was formed by Chris, Greg and Barry after they all met at Musicians Institute in LA where they were all students. In fact, it could be argued that 7 Months are an Americanised version of the much-missed Mr So & So who also met at music college. They will never be viewed as being progressive by any followers of the UK prog scene as this contains far too many AOR influences, but for all that this isn't a bad album. The press release likens them to Yes, Kansas, Rush, Saga and Dream Theater but to my ears I would argue that although they are different on the vocal front I would have put them more with Journey and Styx, along with the aforementioned So & So's. It is an album that needs to be played a few times to gain the most from it, but it is also accessible first time around and there are some very strong songs. I particularly like the rocker "Stay" which contains not only good guitar riffing and keyboard overlays, but also plenty of melody and very strong vocals with a hook. It may not quite live up to the billing but is an interesting album all the same. A great surprise! I wasn't expecting that much of a first record from an unknown band. 7 Months, released back in 2001 is full of good moments, good compositions and good tones in the instruments (let down of 9 in 10 first records in the Progressive World), and I liked a lot of Joe Booe vocals. The record is full of influences, but the good part is that they are not copying anyone. But sometimes they sounds like the swedish band A.C.T and maybe a little bit of Journey. I've downloaded thie record for free on they Jamendo profile, I tried to find the link, but couldn't, can't say if they erased it or not. But you can listen their both records on the Bandcamp page the band have and you can buy both records for $5 each. (7months.bandcamp.com/). Highlights: New Age, Change and Say Goodbye. Thanks to UMUR for the artist addition.